Triple-R: Engine Rebuild - Dedicated 2-stroke oil injection. Oil lubrication is imperative to the longevity of a rotary engine. 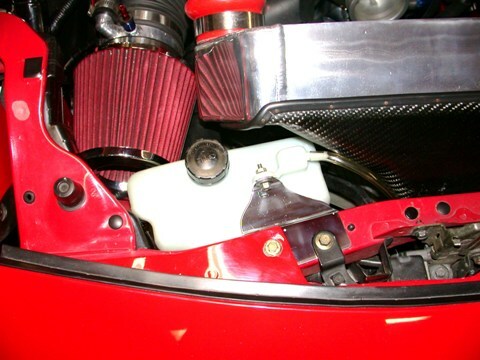 A rotary engine, through the installation of an oil metering pump scavenges oil from the oil pan and injects a small amount of oil into each rotor chamber just downstream of the intake ports to lubricate the apex seals. There are several problems with this arrangement. 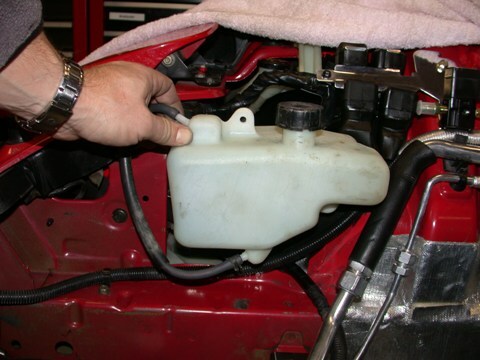 The primary issue is that the system uses dirty oil taken from the oil pan. Oil potentially contaminated with particulates which may accelerate engine wear.Bad for the engine. The second is that because the oil to be injected "should be" fossil based, specifically that they are not designed to be burned, they are designed to lubricate. 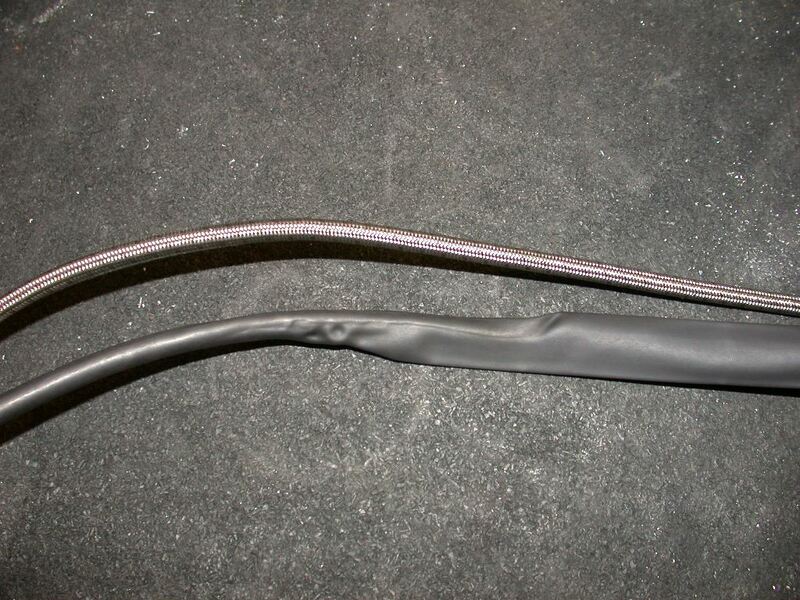 Engine oils when burned can leave residues that may cause seals to bind and engines to lose performance over time. Additionally, regular fossil based oils don’t stand up the demands of turbo charger high temperatures as well as synthetic oils. A common solution is to add 2-stroke oil to the fuel to add more lubrication to the system as a whole but this doesn’t really address the turbo lubrication issue or the fact that dirty oil from the pan is still being used. Others go so far as to disable the OE oil metering system altogether and add 2-stroke oil to each and every tank of fuel. This is a real pain. 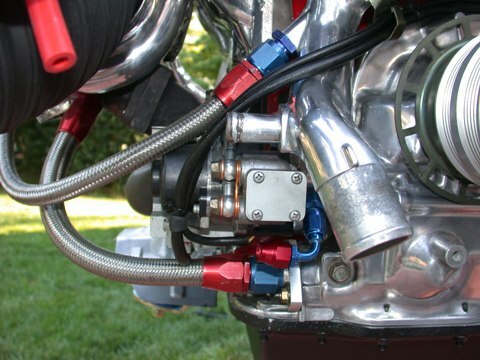 The best of both worlds is to have a system that injects clean/new 2-stroke oil instead of used motor oil and does it automatically and which will permit the use of synthetic oil in the engine for better turbo lubrication. 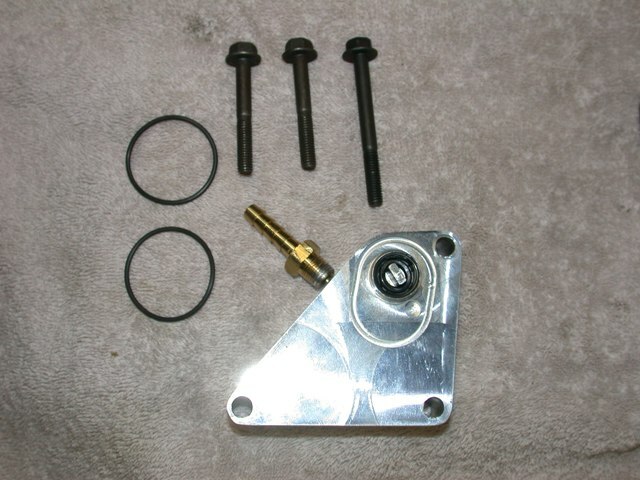 The solution is an adapter made by Richard Sohn sold through Rotary Aviation [Richard Sohn, 8029 HWY 1087, DeFuniak Springs, FL 32433] that inserts between the OE oil metering pump and the engine front cover and draws oil from a dedicated 2-stroke oil source and not the oil pan. A side benefit is that because there is no longer a need (perceived or real) to use fossil based engine oil in the engine, synthetic based motor oil can now be used without concern. This is very good for the high temperatures seen in the turbocharger. The adapter/modification itself is a simple bolt on at the oil metering pump for a single turbo conversion car. Take note that there are some issues fitting the adapter to twin turbo cars (the OMP electrical plug will interfere with the primary turbo from what I understand) but some folks have reported that it can be modified to work successfully. The problem with use of the adapter arises in where to draw the 2-stroke oil from. 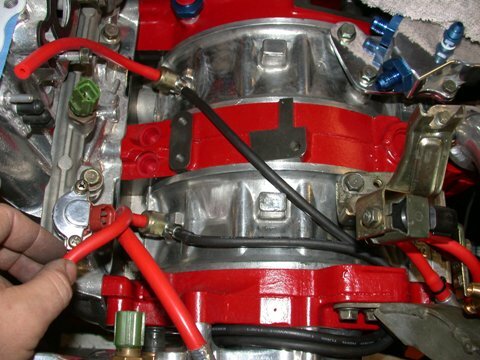 Finding place to locate a 2-stroke oil reservoir in a “street” FD engine bay is nearly impossible. 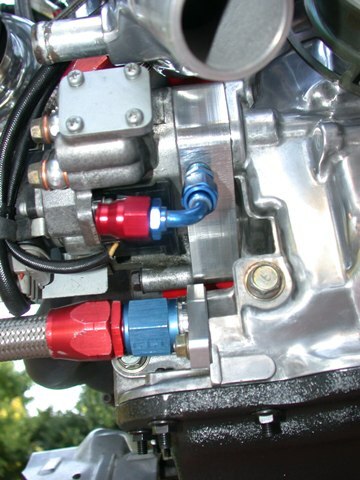 2 stroke oil adpater installed - sandwiched between OMP and front cover. Note routing of shrink wrapped oil injector lines. Two criteria must be met for the “system” to work well; 1) the reservoir must be at least 6 inches above the level of the oil metering pump since the pump is gravity fed and there must be sufficient head to get the oil to flow (having as short a run of feed tubing is helpful as well – oil though a 3 foot length of 1/8” tubing isn’t going to flow at all! ), and 2) the reservoir must be sufficient in size (IMO at least 1 quart) such that you aren’t refilling it every week. I managed to find a suitable tank from a 2-stroke dirt-bike bought off eBay. 2 stroke oil tank from a no name dirtbike bought off eBay. I bought three or four tanks, at about $5.00-10.00 each, before I found one that was the right size and shape to fit. I have no idea what make or model the tank came from unfortunately. 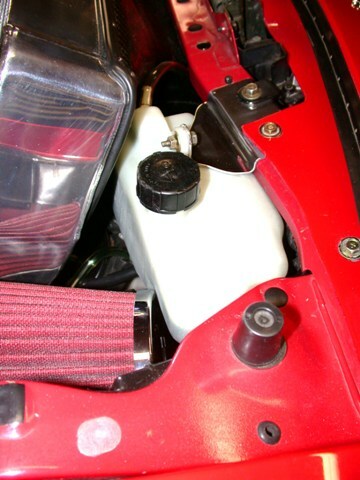 It is also important to note that coolant overflow tanks are not suitable because the plastic compounds used in those tanks degrade when exposed to oil and will split in as short a time as a few months. A shame as there is a nice sized coolant “sub-zero cold start” tank from a 2G RX-7 that would have been perfect. Nonetheless the eBay 1.5quart dirt-bike tank I found fit well, was opaque so the current level can be clearly seen without opening the cap, and it even has a cap that says “oil.” I mounted it using a custom made bracket fixed to the front cross member, 6+ inches above the level of the oil metering pump adapter. I now can use fully synthetic oil for the engine and turbo and 2 stroke oil for apex seal lubrication. This is best of both worlds. Dedicated oil tank with custom aluminum bracket. To round out the oil injection system I installed braided SS oil injector lines, in addition to new oil injectors themselves. 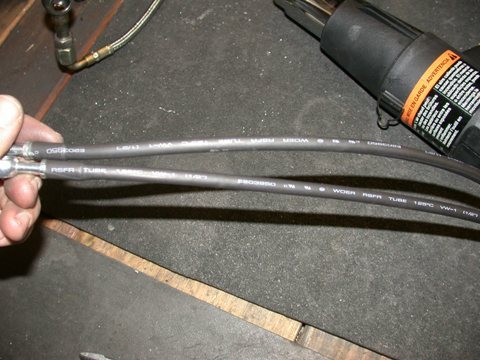 I sheathed the SS lines with shrink wrap to avoid the nasty side effect of SS hose of abrading anything it touches. I used a heat gun to shrink the ¼” diameter tubing. Very simple, clean, and effective. All the copper crush washers were replaced with new washers. The vacuum lines to the oil injectors are silicone 3.5mm hose that pull a vacuum from the intake filter for constant vacuum. SS oil injector lines shrink wrapped for abrasion resistance. SS oil injector lines, new oil injectors, and fresh silicone vacuum lines installed.